As the Arab and Muslim worlds were ending a month of blessed fasting, observing the most holy month in Islam and getting ready to celebrate Eid al-Fitr, there isn’t much to celebrate there— a region engulfed in bloodshed and complicated conflicts among brothers and neighbors. 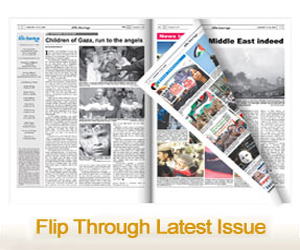 In Gaza, a real massacre engulfing the besieged Strip that has been dubbed as the world’s largest open prison. Palestinians have been falling at the hands of brutal Israeli occupation forces. Israeli snipers are committing crimes against humanity in the daylight and before the guise of the so-called civilized world. In the last few weeks, as brave unarmed Palestinians decided to remind the world of their seven decades of suffering, more than 150 have been murdered and thousands have been injured. Among the victims, a 21-years-young Razan Al Najjar, who was shot dead by an Israeli sniper while trying to treat other wounded demonstrators. A 23-year-old was shot in the face by a tear gas canister and is still in critical condition. “This is the toughest Eid of my life,” Worod al-Jamal, whose 15-year-old son Haitham was killed by Israeli fire at a protest on June 7, said on Thursday, on the eve of the holiday. And the killings continue. In Yemen, the catastrophe is greater in terms of killing, destruction and famine. But what makes even it harder to celebrate is that brothers are killing their own. The Saudi-led coalition, including the United Arab Emirates and others, are unleashing the bloodiest bombardment against their poor neighbors on the eve of the Eid, to add misery to the misery. Thousands have been killed, millions have been displaced in what the U.N. has designated as the worst catastrophe in the world. The situation in Syria isn’t much better, despite advancement by the Syrian government forces against insurgents and terrorist groups. Still, millions of Syrian refugees will observe the Eid in camps surrounded by unlivable living conditions. And yet the world, including those who are Arabs, are turning their backs on their tragedy, if not adding to their suffering. Here in Arab and Muslim America the situation isn’t good, either. While it’s still bearable, it hasn’t been easy with Trump and the far right awakening White supremacist groups against Americans of different colors and beliefs, spreading fear and uncertainty. Regardless of the darkness engulfing Arab and Muslim Americans, there is a silver lining and rays of hope that the forces of hate and division will not succeed in reversing the tide of an inclusive America as a nation of immigrants and the land of the free. Rich and poor Americans of different backgrounds and political and religious beliefs are standing up against tyranny, foreign and domestic. Boycott, Divestments and Sanctions (BDS) movements against apartheid Israel is sweeping American academia and gaining ground despite desperate pro-Israel forces. Isolationists are being defeated. But the fight isn’t over. What is refreshing and important to know is that Arab and Muslim Americans aren’t alone in this fight, even though they are most often front and center in this important and crucial fight. Here in Dearborn, home to the largest concentration of Arab Americans in the U.S., as well as in Wayne County and across the state of Michigan, Arab and Muslims are making distinct progress as they move successfully forward and making a substantive and qualitative victories. Recently, Arab Americans have been appointed and running successfully for public offices. 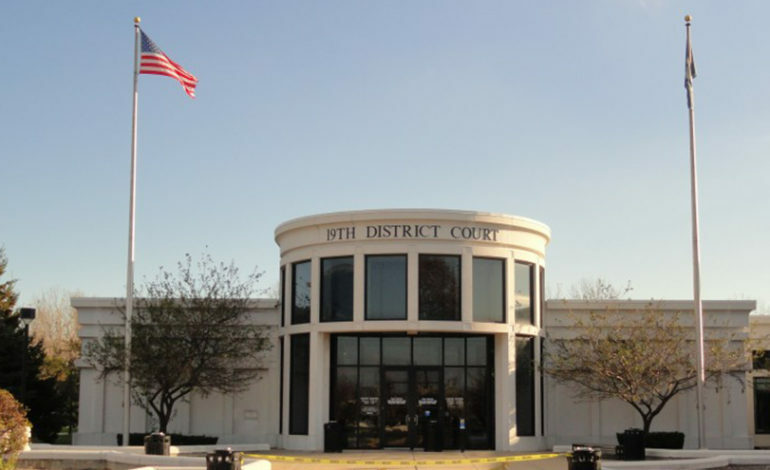 In Dearborn, Judge Sam Salamey of the 19th District Court is running unopposed for his second term on the bench and so is 20th District Court Judge David Bazzi in the neighboring city of Dearborn Heights. Newly appointed Judge Mariam Bazzi is running unopposed to retain her seat on the Wayne County District Court and so are Judges Adel Harb, Charline Elder and David Allen. In addition, real estate broker Sam Baydoun is running for Wayne County commisioner. Back in Dearborn, and on the eve of Eid el-fitr, Arab Americans have scored two more significant successes. Within two days’ span, a third Arab American has been appointed as a magistrate in the 19th District Court and another rising Arab American star was appointed as a chief of staff to Wayne County Executive Warren C. Evans. 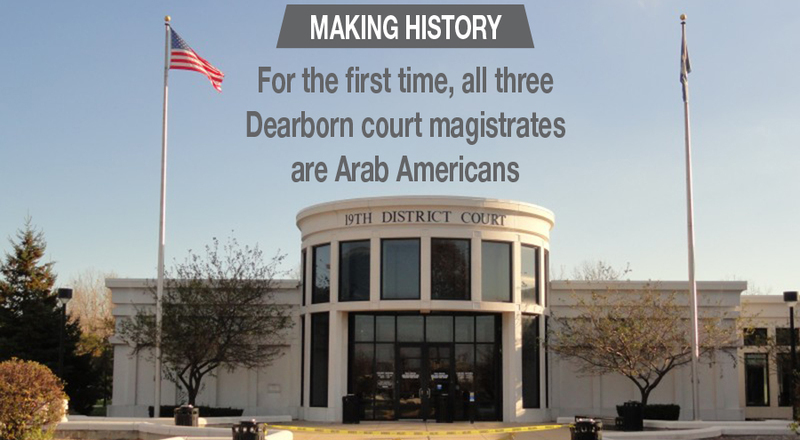 The appointment of attorney Ali Hammoud as a magistrate marks a historical event in Dearborn, which has the largest single concentration of Arab Americans in a single city. It’s the first time in the court’s history that all three magistrates are of Arab descent. The appointment of Assad Turfe as Evans’ chief of staff carries its own significance because Wayne County is the largest county in Michigan and includes in its 43 communities the cities of Detroit and Dearborn and a total population of more than 2.2 million. On another front and for the first time, Arab Americans are viable gubernatorial and congressional candidates. A young progressive Arab American, Abdul El-Sayed, is launching a serious campaign to capture Michigan’s Democratic gubernatorial nomination; while two young, progressive women, Fayrouz Saad and Rashida Tlaib, are running robust campaigns for U.S. congressional seats. What’s more, State Rep. Abdullah Hammoud (D-Dearborn) is running to retain his seat and two more Arab Americans are seeking seats in the Michigan legislature. Saad Almasmari and Abraham Aiyash are running for state representative and state senator, respectively. There are many good reasons to celebrate the Eid here while painfully watching tragedy unfold in our homelands. Let us keep the progress going here and continue our prayers and support to our families overseas.